I put these together in a bit of a rush as something a bit more interesting to go with a funeral outfit. 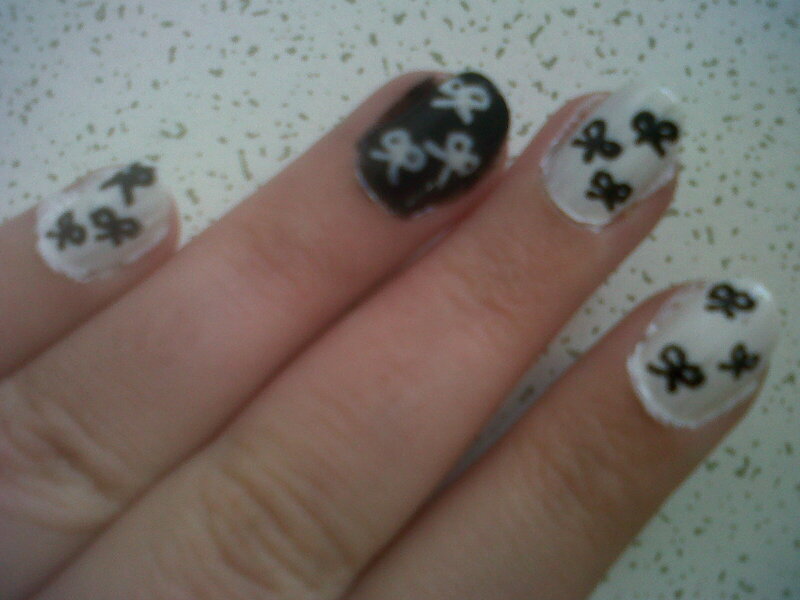 My shirt was white with black bows printed on it, so I attempted nails to match. These were not really what I was aiming for, and you can see from the edges that I didn’t have time to finish them properly. 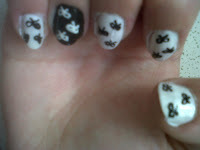 These started as plain white base coats, with a black base on each ring finger. Once dry, I used pens to add small bow details to each, and then finished with a top coat. 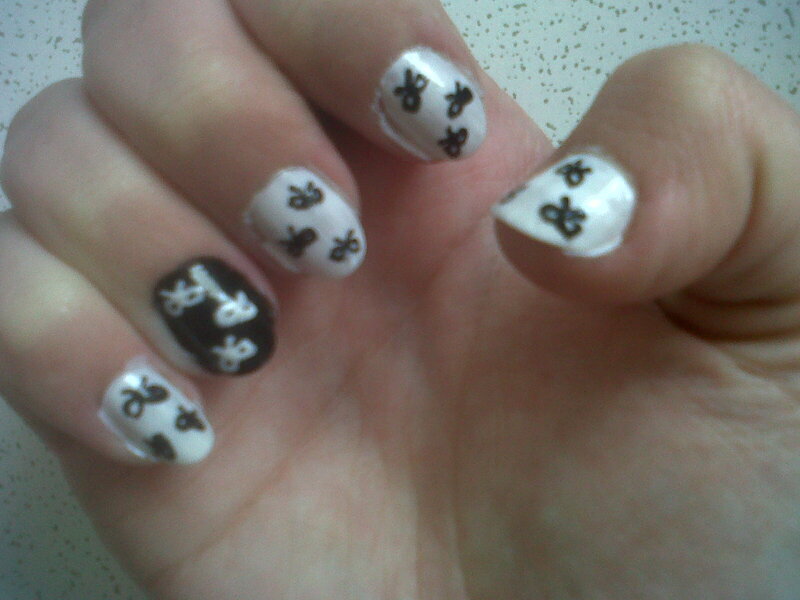 It was difficult to get the bows to look like bows, and my mother kindly commented that they looked more like flies. If I was to do this again I would probably go with bigger bows, possible one per nail. And a colour injection would be nice.